IN FINALS ON THE FINAL TOURNAMENT – Hamborg did very well on one the last tournaments this year. It was gæðingakeppni with very strong competitors where she qualifed straight away for the A-finals with the score of 8,54. She got 7th place in the finals competing against mostly stallions and one other mare, the “hagaljómi” (e. pasture illuminator 🙂 but that is what we often call grey/white horses) Krít frá Miðhjáleigu who won the B-flokkur. 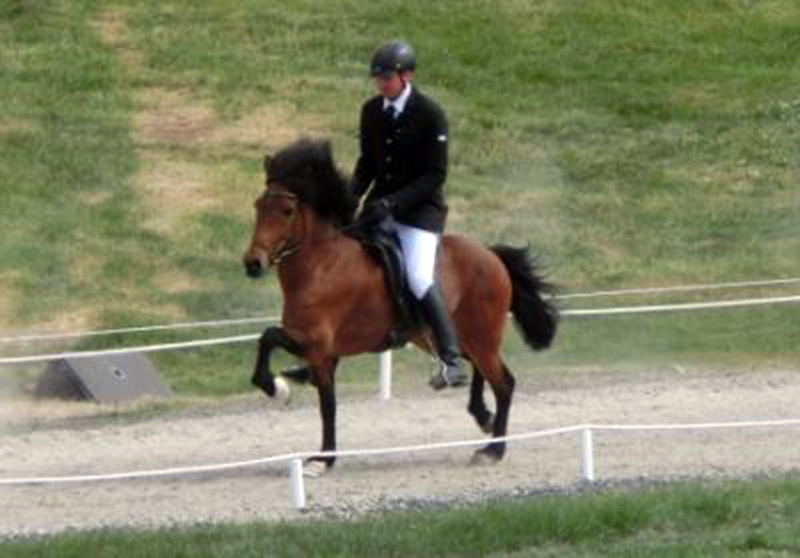 Hamborg was the youngest horse in the A-finals. 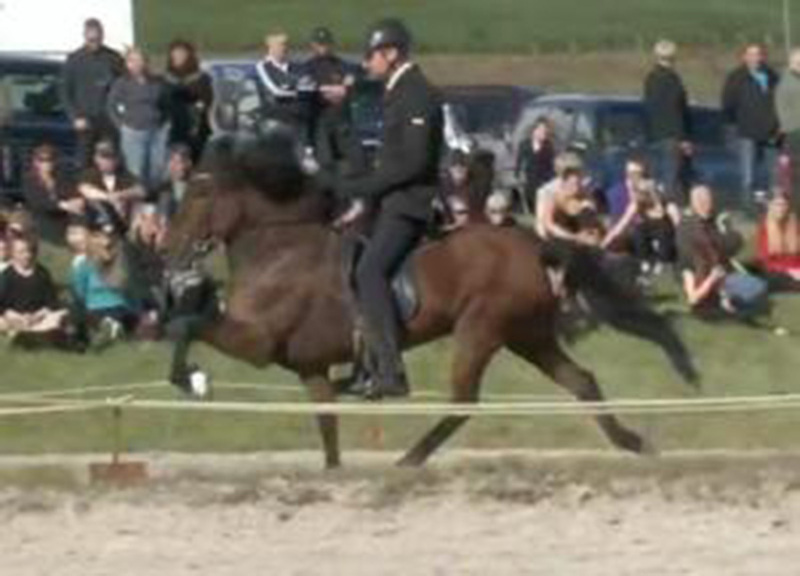 This was a great end of a good summer for Hamborg who also was shown in FIZO and on Landsmot this year. Hamborg endaði í 7. sæti í A-úrslitum B-flokks á Metamóti Andvara sl. helgi. Hún stóð sig vel og var yngsta hrossið í úrslitunum sem voru sterk, aðallega gammastóðhestar, klárhestar með meiru fyrir utan hagaljómann Krít frá Miðhjáleigu sem sigraði. Þetta er fyrsta ár Hamborgar í keppni en hún var einnig sýnd í kynbótadómi í vor. Við þökkum Sigga Matt og Eddu Rún fyrir…flottur endir á góðu sumri.